Starbucks is expanding its venture with Uber Eats, offering delivery in San Francisco followed by expansion into other major US cities and rolling out a new test programme in London. The service will start in San Francisco on Tuesday, to be followed by Boston, Chicago, Los Angeles, New York and Washington DC "in the coming weeks". Starbucks is planning to bring delivery service to nearly a quarter of US-owned stores in seven cities this spring, the company said in a statement on Tuesday. The announcement builds on a trial run that started in September in Miami. Almost all of Starbucks’ menu items will be available with delivery times of within 30 minutes - and an initial $2.49 booking fee. The coffee chain is planning to test delivery programs in other countries this year, with London being the first European city targeted for a pilot later this month. Starbucks has long been testing how to build out a delivery service in its home market. In 2014, then-CEO Howard Schultz said the chain would soon begin offering delivery in select US markets. 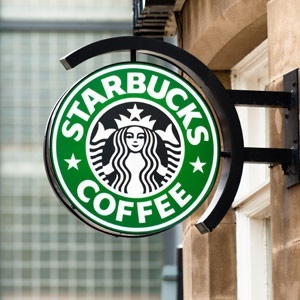 Starbucks began testing a service in Seattle, and in the Empire State Building in Manhattan in 2015. But the Empire State location has since been converted into a mobile-order-only store, and a Seattle trial with startup Postmates has since ended. Starbucks already has a significant delivery business in China, using Alibaba’s Ele.me platform, involving 2 000 stores across 30 cities in China. The expansion of the deal with Starbucks adds another major US brand to Uber’s restaurant delivery arm. McDonald’s in May said it will expand delivery service to 1 000 more US restaurants, using UberEats to handle the "McDelivery" program. In November Uber said it’ll triple headcount working on food delivery across Europe, the Middle East and Africa in its fight for market share against local rivals including Deliveroo and Just Eat.